On Thursday, July 14, Jonathan Larson's beloved and award-winning musical, RENT, opened for previews at New World Stages in New York City. While it has not yet been formally reviewed, audiences and press are buzzing about this revival. While the producers and creative team stay relatively the same from the Broadway production to this new revival, liberties will be taken with costuming, sets, and choreography, to name a few. Vanity Fair released exclusive photographs of the dress rehearsal, so check out these photos of the classic show with a fresh new perspective! The production, starring Annaleigh Ashford (Wicked) as Maureen, and Adam Chanler-Berat (Next to Normal) as Mark, mainly features fresh, young talent, in an attempt to stay true to the spirit of the show. Click here to read more about the cast. In interviews and press releases, the producers have credited RENT as paving the way for all other unconventional rock musicals and changing the future of Broadway. Click here to read more of their thoughts on playbill.com. Michael Greif (RENT's Broadway director) is, once again, taking the helm and directing this reimagined version of the show. 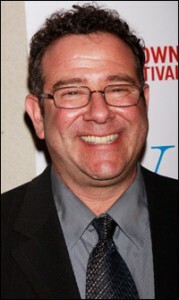 For more on this acclaimed director's 17-year RENT experience, check out playbill.com's interview. 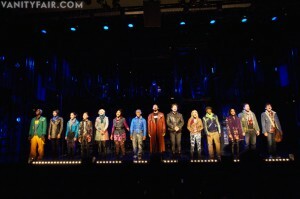 For further information on the New World Stages production, including press releases, cast bios, and ticket information, be sure to visit RENT's website. For information on licensing RENT, visit the show page on MTI's website!